Samsung's FlexWash Washer provides the ultimate washing flexibility, with 2 separately controlled washers in the same unit, so you can wash different types of laundry at the same time. 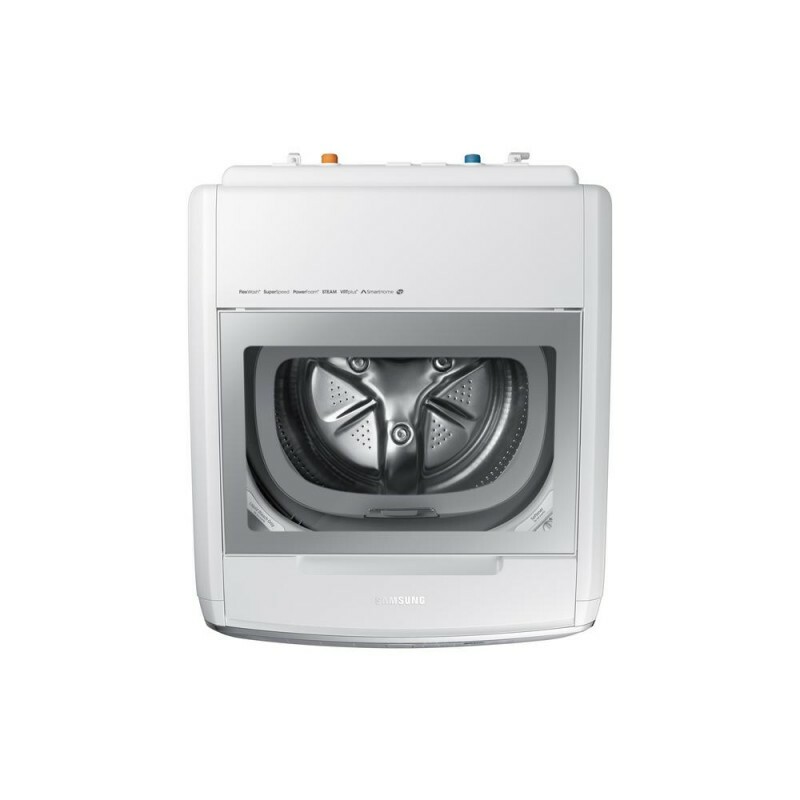 Samsung FlexWash large capacity washer can run 2 separate loads with different settings and options, keeping your different types of clothes clean and in great condition. The largest 5.0 cu. 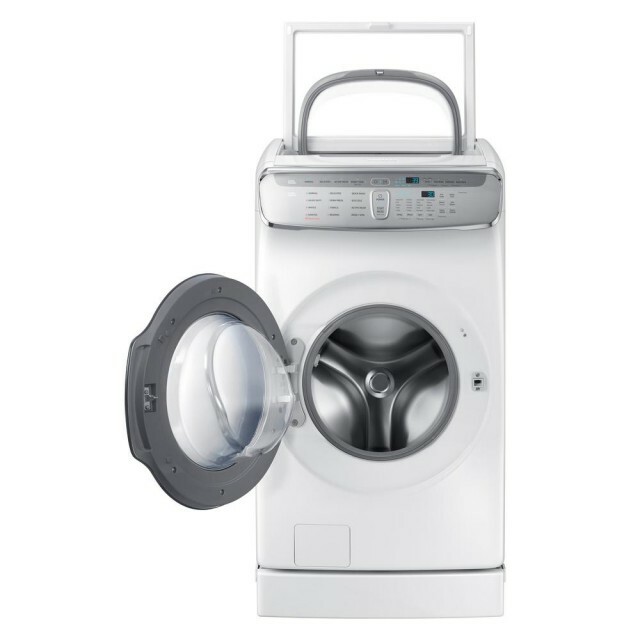 ft. capacity Front Load washer in its class translates to fewer loads to save time, while 1.0 cu. ft. Top Load washer lets you conveniently wash smaller loads. Advanced features like Super Speed technology lets you power through laundry day 45% faster without sacrificing cleaning performance, while Steam Wash removes stains without the need to pre-treat. Best washer ever Got this when my old one stoped working. I heard a few negative thing about the design so I was a little Leary of it but really wanted it so figured I would roll the dice, glad I did. Works really well, have had no problems yet, and the fact it is part of the smart home connection is really cool even though I never use the features . For the money expecting perfection but got blah Nothing great about the flex washer or dryer.. Just blah. Had another jumbo washer and dryer in my old home that i purchased brand new (from their competitor) and was half the price but I was way more happy with that purchase. Top washer and dryer are not very useful. Barely ever get used. So that leaves me with the basic washer which I feel does not clean the clothes great regardless of what detergent I use and I have tried them all. The drier makes my clothes wrinkled so I have to break a jumbo wash into 2 loads to dry. Never had to do that with my old machines and they smelled much fresher compared to my washes now. It is fun to do laundry with FlexWash I finally replaced an 8 year old washing machine with this excellent and top of the line Samsung washing machine. After installation and a quick review of the manual we started using this washer, we have a three year old boy at home and with the second washer on top life is much easier as with any child this age or so ......... we have to "clean up" the mess that he makes and washing his cloth is easy and fast and dryer next to it is a Wonderfull addition. it is very quiet and we hardly hear its noises except when it spinning fast at the end of the cycle. Cloths are way cleaner than before, and the ability to do 2 loads at the same time is a life saver when you are in a rush. Can't explain how wonderful this product is, you have to try it to appreciate the quality built that Samsung put into making it. Highly recommended and there is noway that anyone will regret buying it. Excellent options for all kinds of cloths, it can easily fit a large blanket easily. Washing Done Right! I replaced an aging front loader with this new FlexWasher and believed the top smaller washer would come in handy and I was right! The smaller washer does excellent for my wife's hand wash and delicate garments. There's one thing I wanted to try and that was a jersey as I hate washing my stitching jerseys afraid to mess them up. I loaded up 2 of my jerseys and they came out clean with no damage! I have washed many jerseys now this way. Another great feature from my previous model is that you don't have to add waster to a reservoir to get steam. The washer uses the existing water line to get the steam going! The washer is large and tested every type of item from bedding, towels, kids clothes and denim. All items came out clean and great. I use pods and have no issues with my clothes not coming out smelling great and clean. I am happy with the washer and will continue to try all the features. There are so many from Fast Wash, Sanitize to name a couple more. 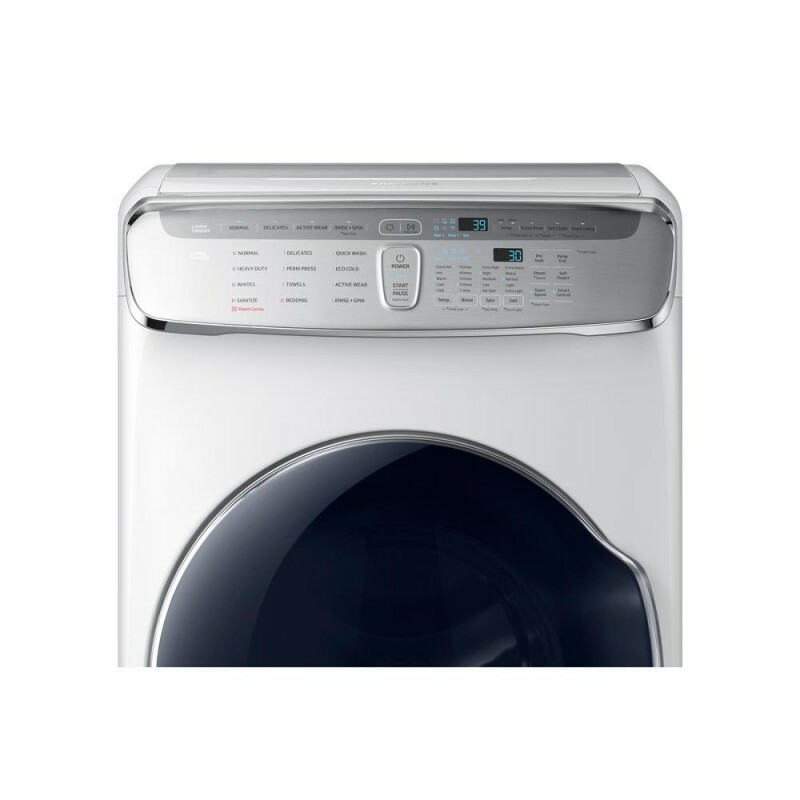 The washer has smart features and can connect to the Samsung Smart Things app. My phone now lets me know when my load of clothes is complete! The machine is great to look at with the great finish and there is even a light in the drum of the washer which you normally don't see! I am reviewing as part of the Insiders Program!